Lippisch was born in Munich on 2nd November 1894. He later recalled that his interest in aviation was first kindled in September 1909 when he saw a demonstration flight by Orville Wright in Berlin. He had planned to follow in his Father’s footsteps and enter art school, when World War 1 intervened. During his service in the German Army between 1915 -1918, Lippisch had the chance to fly as an aerial photographer and map maker. After the war, Lippisch worked for a while with the Zeppelin Company and it was then that he began his life-long interest in tailless aircraft. In 1921 his first tailless design, the Lippisch- Espenlaub E2 (seen below) was constructed. 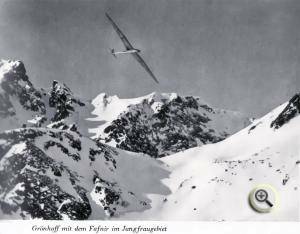 Toward the end of 1924 he was appointed Director of the Aeronautical Department of the Rhön Rossiten Gesellschaft (RRG), a research institute which was to promote the development of gliders and gliding. This allowed him to built another tailless machine called Experiment in 1925 and development continued with the Storch series of high wing tailless gliders which by 1929 had produced a glider with good handling characteristics. 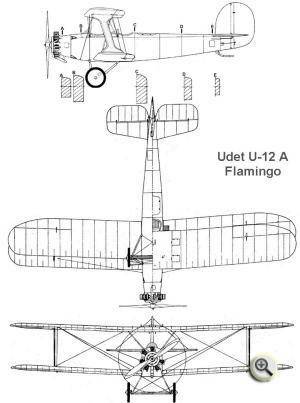 However, Lippisch had a parallel and more mainstream career as a designer of many conventional, well known gliders. Between 1921 and 1929 he designed some twenty different types including the famous trainers – Hols der Teufel (1923), Zogling (1926), Prufling (1926), Falke (1927) and the more advanced Professor (1928) that together formed the backbone of German gliding in its formative years. 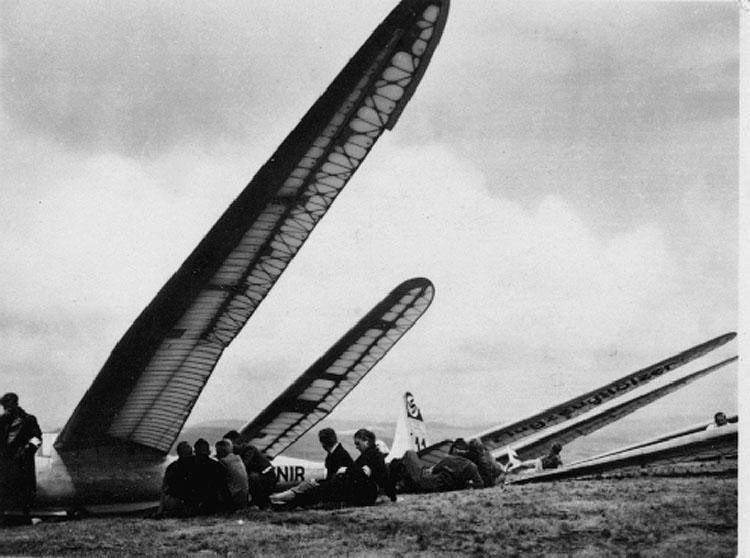 Although by 1928 Lippisch had possibly designed more gliders than any other individual in Germany, they were the unglamorous workhorses of the training schools. His Professor was intended to offer the schools the plans to build a good, solid sailplane with a decent good performance, that would be much cheaper to build than the more sophisticated designs of the Darmstadt school, such as the Westpreussen, with their oval monocoque ply fuselages and cantilever wings. However the Professor was not easy to fly and was prone to tip stalling to the extent that the outer wing panels were later redesigned. As yet Lippisch had not designed a truly high performance sailplane. 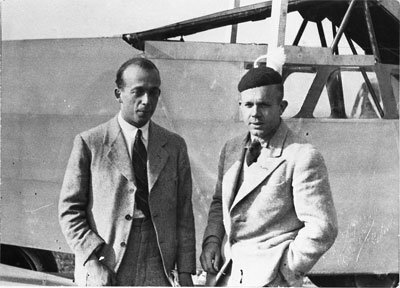 Kronfeld achieved some good flights with the prototype Professor and asked Lippisch to design him a more sophisticated version, in exchange for his work at the RRG. It seems that Lippisch could never find the time or wouldn’t make the time, to honour that commitment. This and various later events created considerable animosity between the two men. Contrary to much that has been written, Kronfelds new sailplane, the Wien, was not designed by Lippisch !!!! It was actually designed by a student at the RRG called Pohorille and the drawings themselves were signed off by Lippischs assistant Hans Jacobs (later the designer of the Rhonadler, Rhonbussard, Rhonsperber, Reiher etc). The extent of Jacobs involvement is unknown. 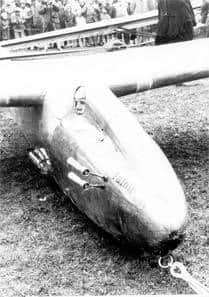 Dr August Kupper at the Munchen Akaflieg constructed the remarkable Mu.3 Kakadu. Its 19.56 metre span was comparable to the Wien but the aspect ratio was somewhat higher at a remarkable 22.2. 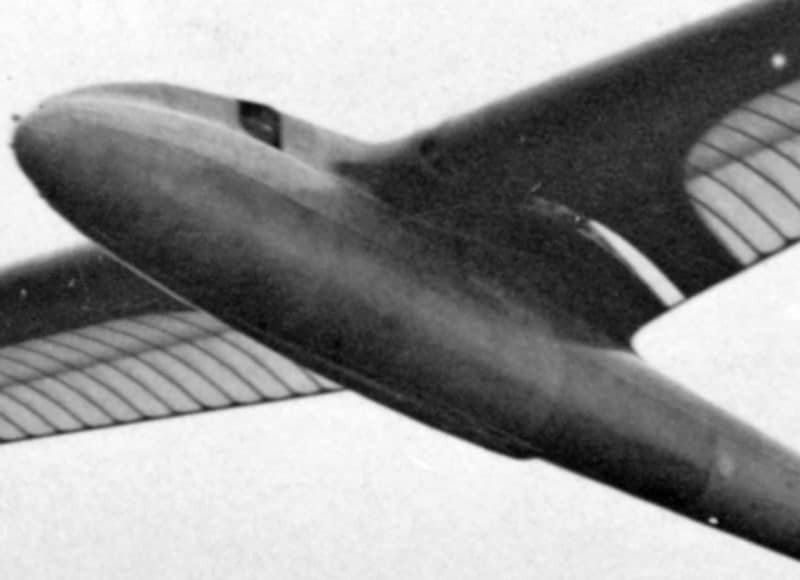 With a clean, almost straight taper cantilever wing mounted on a short pylon above a very clean fuselage, Kakadu must have immediately made the strut braced Wien look outdated. In retrospect, Kakadu can be regarded as the first modern sailplane. What impact Kakadu made on Lippisch is unknown but he must have felt under pressure. 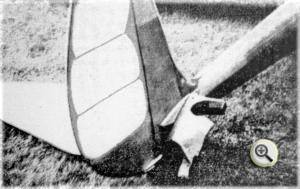 No one was really interested in his tailless designs which offered no improvement over conventional types and the Professor sailplane could be considered a failure due to its difficult handling. As the national institution, the RRG was in the embarrassing position of not having a sailplane that could be considered competitive for the next Rhon meeting. Lippisch’s answer was the Fafnir, a huge leap from the slab sided, strut braced Professor. It emerged as a pure cantilever 19.0 metre sailplane of very elegant aerodynamic form. It is possible that the pylon carrying Kakadu’s long span wing was considered (or found) to be vulnerable to damage. By mounting the Fafnir’s wing directly onto the top of the fuselage Lippisch found a better structural solution, although this reduced the wingtip’s ground clearance. Rather than using dihedral to solve this problem, the elegant gull wing was used and set a fashion that dominated sailplane design for more than a decade. pilot and Groenhoff was just receiving recognition for his talents. In fact both men were of similar stature. There were other complications. 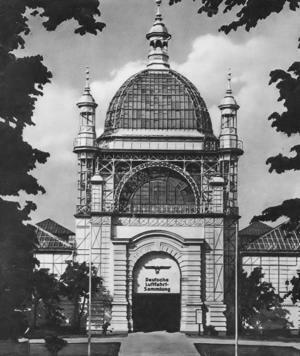 Kronfeld had angered Lippisch by having the Wien designed elsewhere (and later revealing Lippisch had NOT designed it). The politics of the day were complex and relations with Austria were strained and Kronfeld as an Austrian was referred to as ‘an unloved foreigner’. In an era of rampant anti Semitism, Kronfelds features may have raised suspicion and in 1931 it was revealed he had Jewish ancestry. 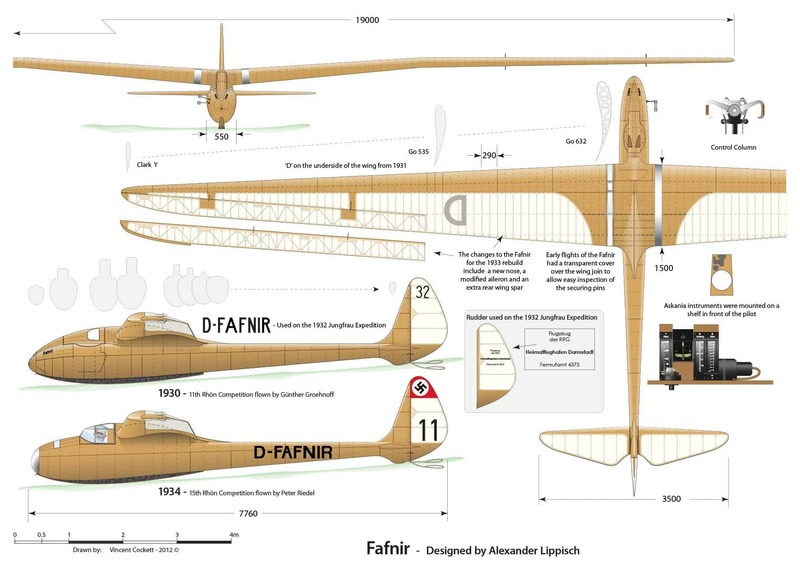 Today we cannot know exactly what happened but ultimately the Fafnir became Groenhoff’s sailplane – but the extent to which it was purely Lippisch’s design is open to question. Design work began in the winter of 1929/30 and construction began in 1930. 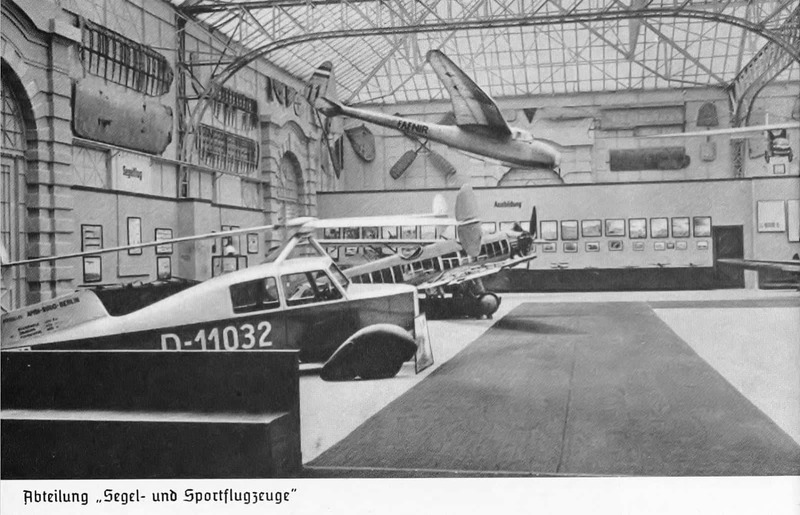 Again Lippisch couldn’t ‘find the time’ to complete the project and Groenhoff frequently had to search him out to answer questions on the design details. The construction was quite technically challenging and Groenhoff also had to seek help from Heini Dittmar and Hans Jacobs. In Hans Jacobs we see a link between the Wien in which he was involved and the Fafnir, where the extent of his input is unknown. 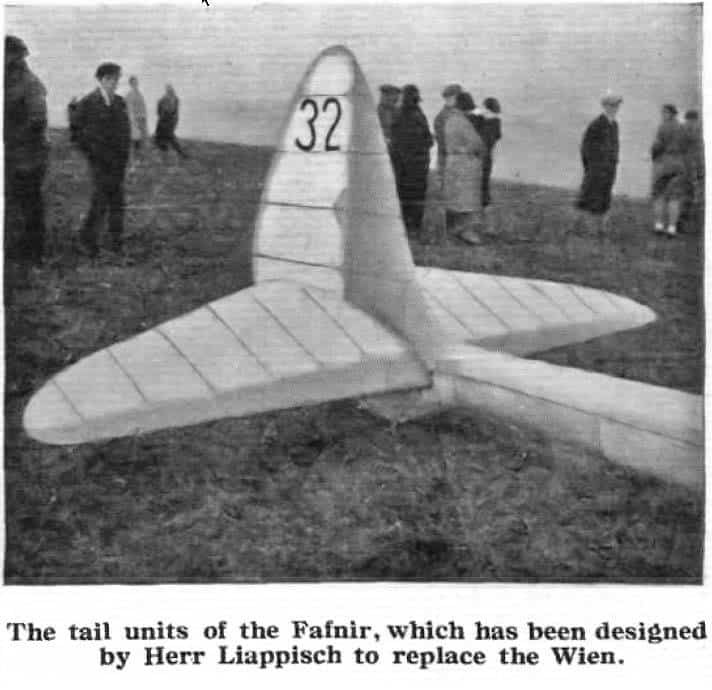 It is however notable that the elegant form of the Fafnir was quite unlike any sailplane or aircraft that Lippisch ever designed either before or after. So, why was his Fafnir project given its name? Popular belief was that all the intricate planking on the fuselage was likened to the scales of a Dragon, however there is a more truthful story. ‘Fafnir’ was a colossus from an old German myth called “Nibelungensaga” who stood for nature, power and barbarism. He had a brother by the name of ‘Fasold’ who stood for intellectuals, studies and culture This story is also a part of Wagner´s epic musical piece ‘Rheingold’. In the story, the brothers fought each other with Fafnir eventually killing his brother after which he changed his image to that of a dragon to protect the treasure of the Nibelung. He would in turn be killed later by the German mythical hero Siegfried who would then bath in Fafnir´s blood to become invincible except for a small part of his shoulder. Very rare footage from 1st January 1932. The patterns of sailplane development had been dictated largely by the style of soaring which predominated at a given time. Through the 1920’s and well into the 1930’s ridge soaring was the predominant mode of flying. Designers, therefore, assumed that a glider would spend more time in lift than in sink, so their sailplanes were optimised for low sink speeds at low forward speeds, and with high maximum lift-to-drag ratio. Low wing loadings with thick highly cambered airfoils were considered necessary to achieve these desired low sink speeds. Even after the advent of thermal soaring, designers continued to employ low-speed performance in their sailplanes. With increasing sophistication of soaring techniques came the realisation that not only low sinking speed and high glide ratios, but also high manoeuvrability about the pitch and roll axes were required to take full advantage of ridge (and later, thermal) lift. 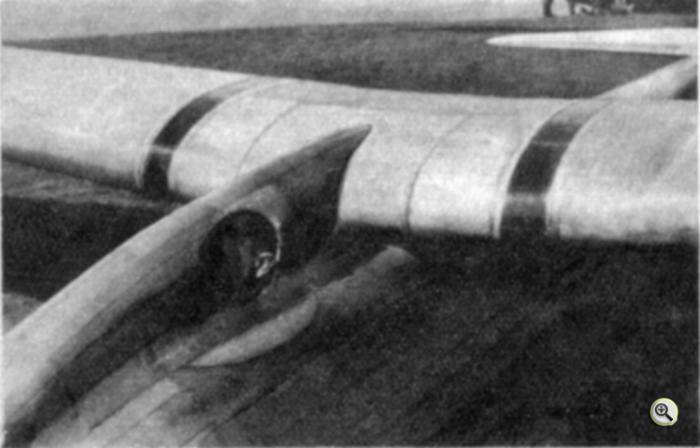 Rolling inertia was minimised by using a strongly tapered wing plan form and by mounting the wing on top of the fuselage, closer to the centre of gravity, rather than on a pylon. For the first time Alexander Lippisch had an airplane of large span designed with self-supporting cantilever wings. These two-part wings which were slender and strongly pointed, would connect to a middle section, which was part of the fuselage, using three fittings. 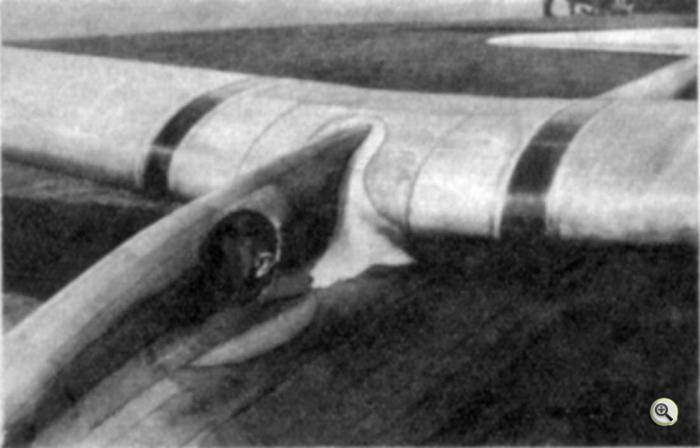 The wing was built in a cranked (gull-wing) configuration, ostensibly to provide ground clearance on takeoff and landing, an advantage with off-field landings and for improved stability in turns, but aesthetics may have been as much a factor in this design decision as aerodynamics.This gave the main plane considerable dihedral, after which the wing remains horizontal to the tips giving the appearance of a seagull. Their disadvantage was the high construction cost and the weight for the necessary additional reinforced spars. The wing had two spars and later a third was fit. A main box beam at the one-third chord position, with an auxiliary ‘I’ beams fore and later one aft and with the leading edge being plywood covered. Click the picture to download a larger version or click here for a 1:10 scale pdf. 7- October 2014, the front fuselage shape is corrected and 1934 canopy improved. 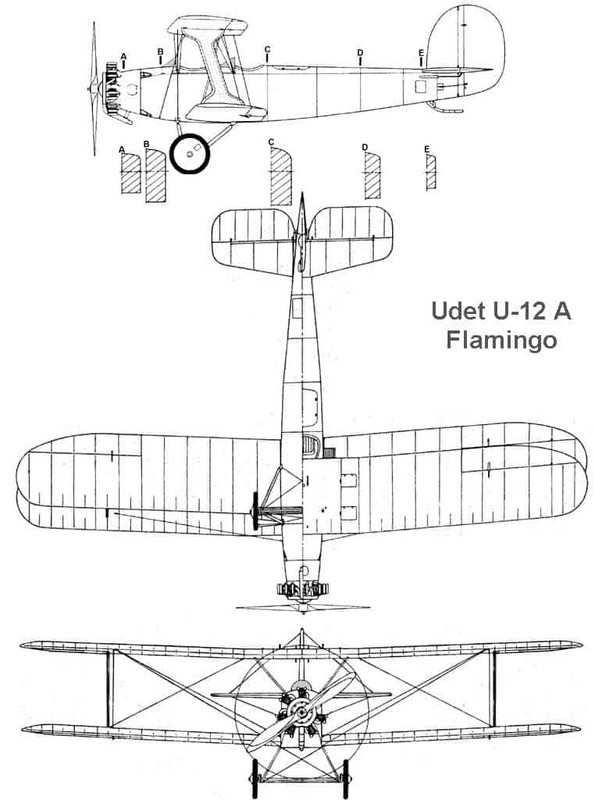 In order to preserve an accurate wing profile, particularly in the area of the leading edge, the ribs on the Fafnir were more closely spaced than on other gliders Several degrees of washout were incorporated and in this way aileron effectiveness at low speeds was improved and premature stalling of the wingtips was avoided. Aileron effectiveness was further improved by maintaining a constant aileron chord length over about 80 percent of their span from the inboard ends. With the highly tapered plan form this resulted in increased aileron / chord differential and thus increased aileron effectiveness toward the tips. Differential movement of the aileron was also incorporated after its successful application on the Wien. It certainly was a remarkably sound machine and pleased it’s producers enormously. Everyone was amazed with its high manoeuvring qualities, which was streets ahead of any other glider of the time. Although the Fafnir was decidedly on the heavy side, it showed itself to be a remarkably efficient machine with high manoeuvring qualities when in the hands of Groenhoff, the official test pilot at the Wasserkuppe who seemed very much at home in the machine, performing spectacular banked turns without any apparent loss of height. The wing centre section was built into the fuselage with an elaborate curved fairing between the wing and fuselage made out of numerous small strips of plywood. This was to turn out to be a problem area for the Fafnir because of the potential for increased interference drag due to the proximity of wing and fuselage. 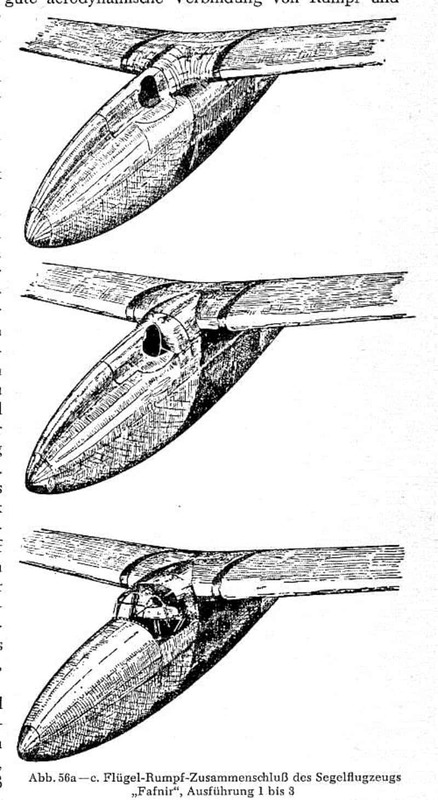 Previous designs of gliders had an open cockpit, but in order to reduce drag and protect the pilot from hail during meteorological research, a wooden canopy enclosure was constructed, being fared into the nose and wing roots. 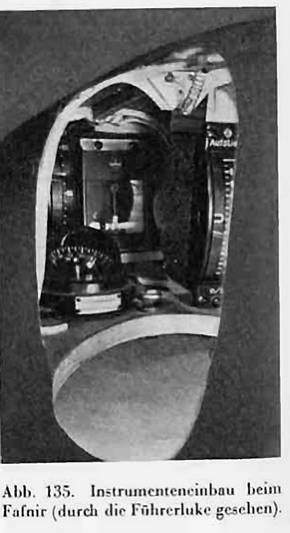 Portholes were included on either side to allow side vision only. Pilots of the time alleged that, one must “have the wind in your face”, otherwise you are not gliding a superstition that would be weed out only slowly. The cockpit itself was tailor made to fit the small body of Groenhoff. The Fafnir also carried an external instrument for the measurement of humidity, in connection no doubt with the weather research work which was a big feature of the R.R.G. programme. There was no landing wheel on the Fafnir, however the skid was cleverly sprung using a row of tennis balls trapped between the keel and the ash skid by wooden laths and around which was canvas or leather covering. Ground clearance all the way along the fuselage belly, and especially at the tail, was very small and this gave much trouble in service. 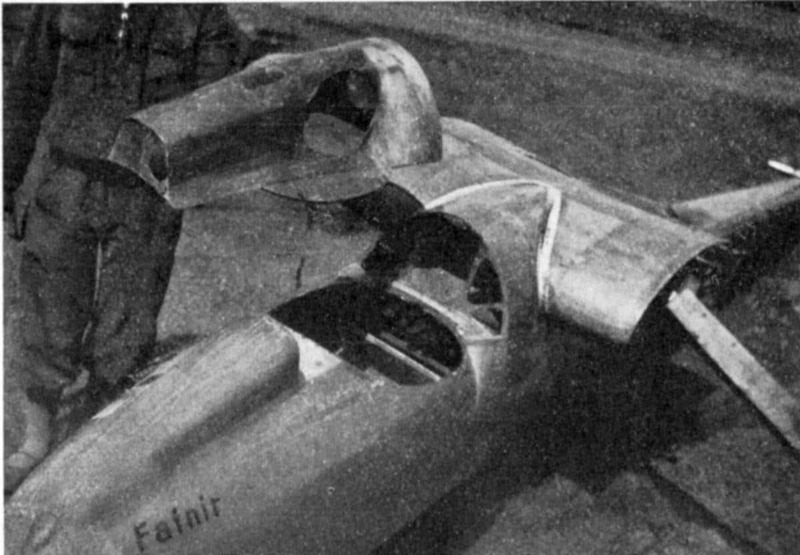 The Fafnir had quite a long oval fuselage covered in intricate plywood panels and had a rather small all moving tailplane set low down in the middle of the fuselage tail. This would later prove a problem to Groenhoff. The whole of the plywood paneling was finished in a high gloss varnish. 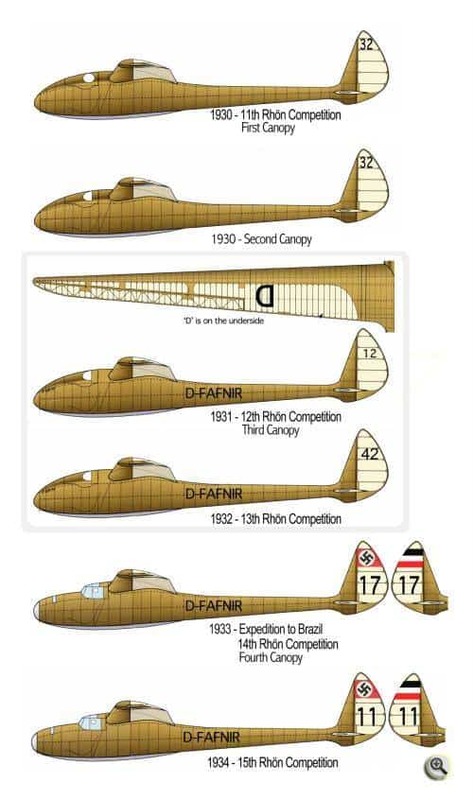 It has been a popular held belief that the Fafnir was given three different fuselage nose sections as depicted by Peter Riedel In his famous series of gliding books “Übersonnige Weiten” The image from this book which has been copied and represented as a true record in many documents. However, this is not the complete story, as the following information will show. The first version of the Fafnir, shown at the top of the drawing, is the ideal image of the glider with a complicated wing / fuselage fairing behind the cockpit, which was built up from many strips of ply. See this image from further below. 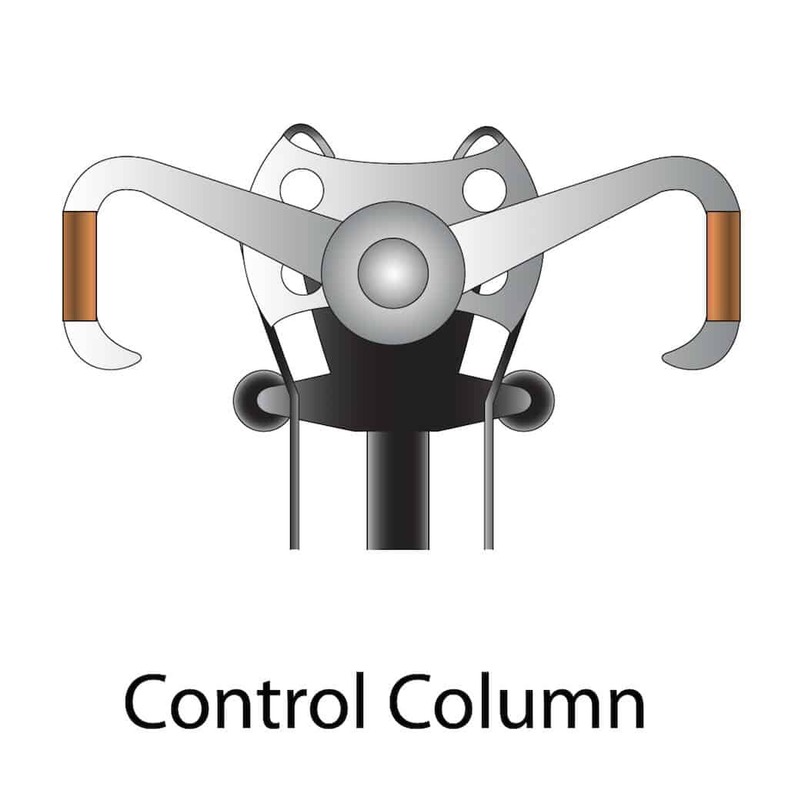 This is also the version that appears on all the available 3-view drawings from the past, but the style was to be short lived. This was not the first canopy, but a rebuilt version of the very first one, to try and overcome the problems of turbulence. 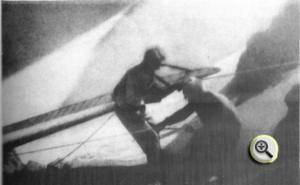 The photos immediately below show the true first canopy to be fitted to the glider in 1930. The important point to notice about the shape is the tapering of the cockpit nacelle to a narrow point where it blends into the wing surface, whereas the next version at the top of the “Riedel” drawing has a parallel sided nacelle. Also a slightly more rounded port hole was provided on the side. The Balsa infill modifications shown below was made immediately after the first disappointing flight, which is reported in more detail further down this article. 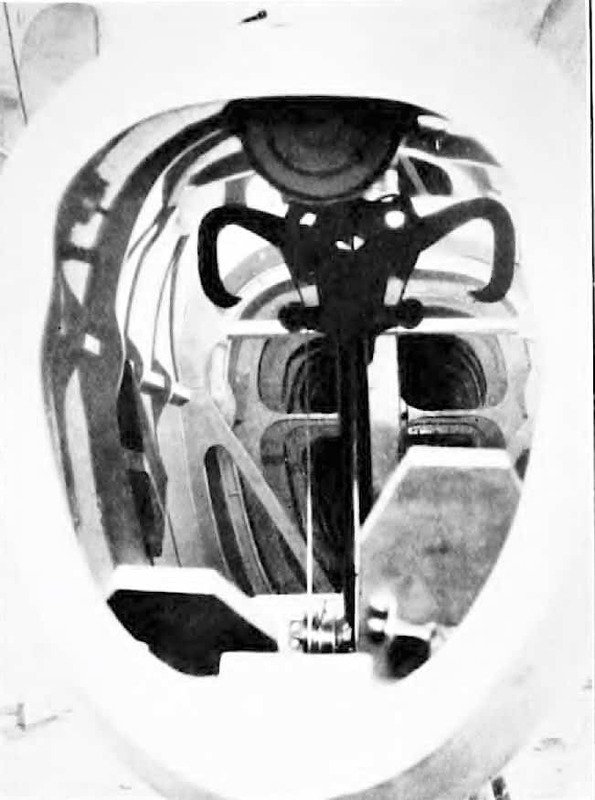 Just one year later, at the Rhone Competition of 1931, the cockpit had been developed to it’s shape depicted in the middle of the “Riedel” drawing on the left. The original Fafnir canopy shape with a very narrow and pointed top, created from the image to the right. 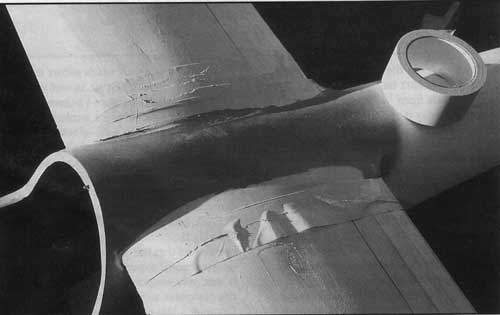 In this image you can also see the Balsa in-fill and the early narrow cockpit top and wing fairing which was all changed later to overcome the drag caused by the wing-fuselage transition. It was the opinion of a well-known German soaring pilot that no really successful thermal work could be carried out without a variometer. Bank indicators and longitudinal bubbles were fitted to several aircraft in addition to the more common compasses, thus making every provision in these machines for blind flying in clouds. The instruments in the FAFNIR were manufactured by Askania and are worthy of special mention. In order to accommodate them all in the narrow space provided, types with narrow vertical scales were adopted where possible. The FAFNIR also carried an external instrument secured to the outside of the fuselage below the starboard wing for the measurement of humidity, in connection with the research work which was a big feature of the programme of the R.R.G. In this view on the left, the instruments are seen from the port side through the cockpit side opening. 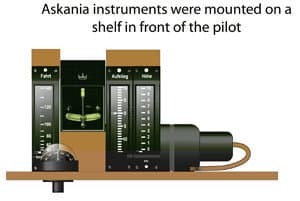 There is no actual ‘panel’, rather the instruments were mounted on a shelf above the pilot’s knees. The layout of the instruments was staggered, those left of centre are set well back to allow placement of the compass, whereas right of centre they are positioned forwards, presumably to allow the two air canisters for the venturi to be fitted behind. The edge of one canister can just be seen in the photo to the right of the ‘turn and slip’. At the left is a liquid filled ball Compass and behind and to the right is the Turn and Slip indicator which has a spirit level to indicate bank angle at the bottom of the case and a needle to indicate the rate of turn. 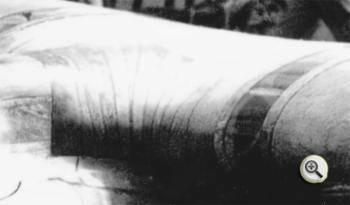 The instrument is linked to an air-driven gyro connected to one of the venturis on the starboard side of the nose. 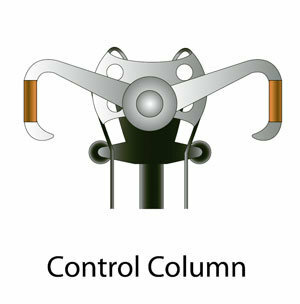 Next to this is a Variometer with a large vertical scale. An Altimeter and an ASI were also installed, positioned out of site to the right and were driven from the second venturi. On the photos below you can see the fixing point for the calibration instrument with the two venturis mounted in the nose. It also shows the final fairing of the fuselage-wing transition to overcome problems found on the first flights. 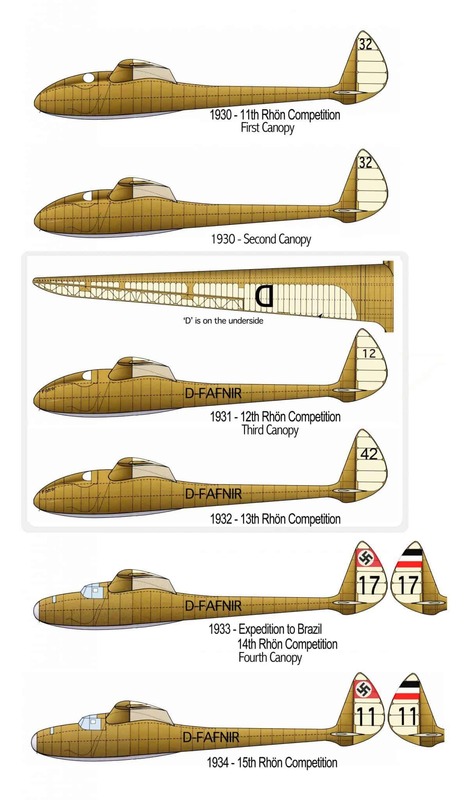 The “Fafnir” was needed to be ready for the 1930 Rhön Competition at the Wasserkuppe and towards the end of its’ build the craftsman Richard Mihm had to work day and night to get the glider finished in time. Lippisch went over to the workshop where the men were waiting for him and announced his cure. They were almost in tears when they had to cut apart again all the careful work they had done. The work was carried out over night to insert blocks of Balsa to re-contour the transition, and with all this effort, the bird would be ready to go again by the following noon. On the next flight there was a noticeable improvement to the gliders performance. 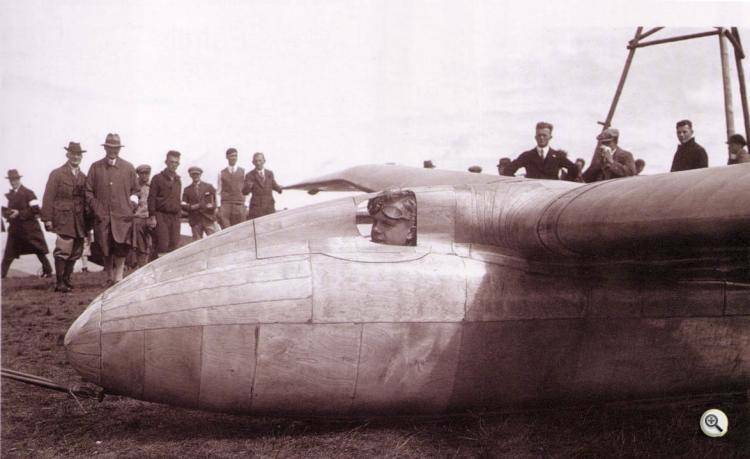 When it was bungeed off the slope in the second week of the 11th Rhön Competition, the Fafnir flew 15Km across the valley to Kreuzberg in 15 minutes and returned five hours later after fighting hard to sustain height on the way back to equal Kronfelds’ world record set the week before. The Kreutzberg is a hill, 3,045 ft. (928 m.) high, 75 ft. (23 m.) lower than the Wasserkuppe, and is 9.5 miles (15 km.) to the south, with a lower hill, the Himmeldarlberg, lying between them. On the 4th May 1931, Groenhoff flew a record flight of 278 km from Munich to Kaaden, but it was not officially recognised because aero-towing had not been recognised by the FAT for such purposes. The “Fafnir” had been specially designed to research flight before and during thunderstorms,. Despite its relatively high overall weight (200kg) the wing loading was also relatively high (16.9 kg/m2), and the aircraft with its transparent delicate covering performed well. During this flight, in stormy conditions, the wing was badly holed by hail and accumulated quantities of ice and water which sloshed around inside. On this occasion he flew on until after darkness and in the end landed using his electric torch, poked out of the barely adequate portholes, to make his landing. 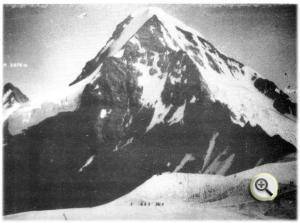 In June the Fafnir joined an expedition to the High Alps in an area known as the Jungfraujoch (Top of Europe). The gliders were carried up the mountain on the railway from Lauterbrunnen to the nearest station and then had to be man handled to the launch point at an elevation of 3454 m (11333ft). Launches were to be made by bungee from deep snow on the slopes of the Jungfraujoch. Some difficulty was experienced in finding a suitable terrain for the start. 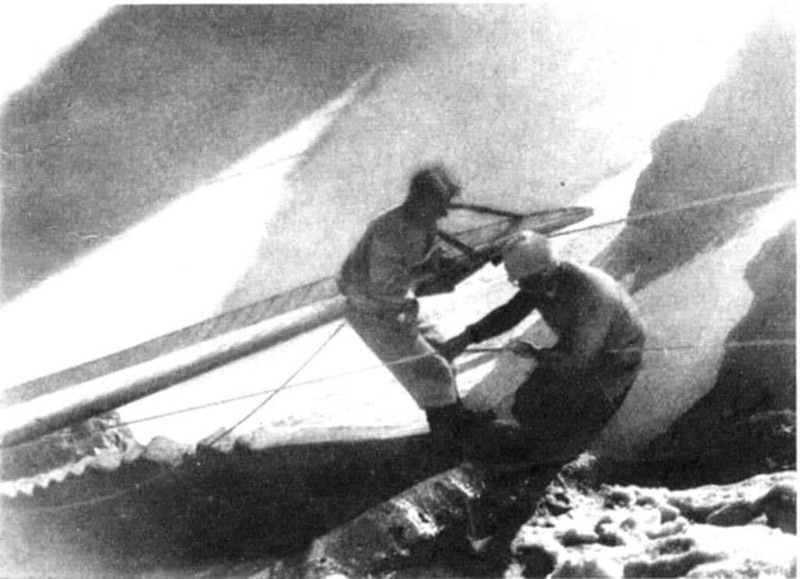 Owing to the depth of the snow it was impossible for the starting men with the bungee to run, so it was decided to use ten men on each side of the double 40m. starting ropes, but even so, in the rarified air and hampered by the snow, the Fafnir on its first attempt was unable to reach flying speed. Groenhoff found himself sliding down the slope toward the slope precipice. He endeavoured to pull it off but because the tail of the Fafnir lies close to the ground. it was extremely difficult to put a positive angle of incidence on the wings with the machine sliding down hill. It then ran through a snow wall and to the horror of the launching crew the sailplane toppled over the edge and as it did so tore off half the elevator on the snow wall. 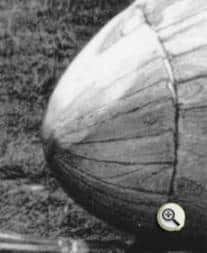 The damaged Fafnir dropped into space, but after falling vertically for about 100 meters without hitting anything, sufficient airspeed was attained for the controls to respond and Groenhoff was able to pull out of the dive away from the rocks and out over the open valley. On more than one occasion he thought he would have. to jump with his parachute, and he prepared his camera to take a picture of the Fafnir as she spun down, but the prospect of losing the machine and landing amongst crevasses on the ice where he might be hurt and unable to move, deterred him. Hauling the Fafnir up the mountain. A small group of people by the N.W. slope on the left. Above is Mönch, whilst the Eiger is behind. The N.W. edge over which the gliders were launched. Note the small group of people. The cockpit covering the Fafnir only provides the pilot with a 200mm aperture on either side of the totally enclosed cockpit so that he was unable to look back to see what had happened to the tail. Shortly afterwards it went on its nose again and Groenhoff decided to see if he could keep it there by pushing the stick forward. This he succeeded in doing and came to the conclusion that the elevator must be working to some extent and that therefore, the faster he flew, the more likely he would he able to control its flight, so he flew the machine at about twice its normal speed until he could reach the centre of the valley where there would be enough height for him to use his parachute. The sailplane behaved normally, provided the airspeed was maintained. Hating to lose his beloved Fafnir he decided after all to try to save it. After a flight of almost an hour, Groenhoff chose a large fiat meadow close to Interlaken on which he made a very fast touchdown. A wingtip caught in the long grass and a severe ground loop resulted. The Fafnir slid for twenty meters sideways, and came to rest without further damage. 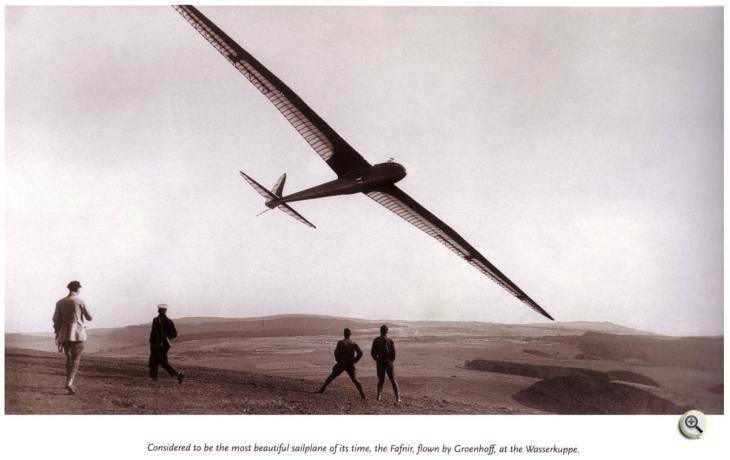 Two days later, with a new tailplane sent from the Wasserkuppe, Groenhoff again flew the Fafnir from the Jungfraujoch, this time gliding down to a landing which, by comparison with his previous escapade, was something of an anticlimax. Several days of poor soaring weather followed during which snow banks were built around the glider to protect it from the winds. 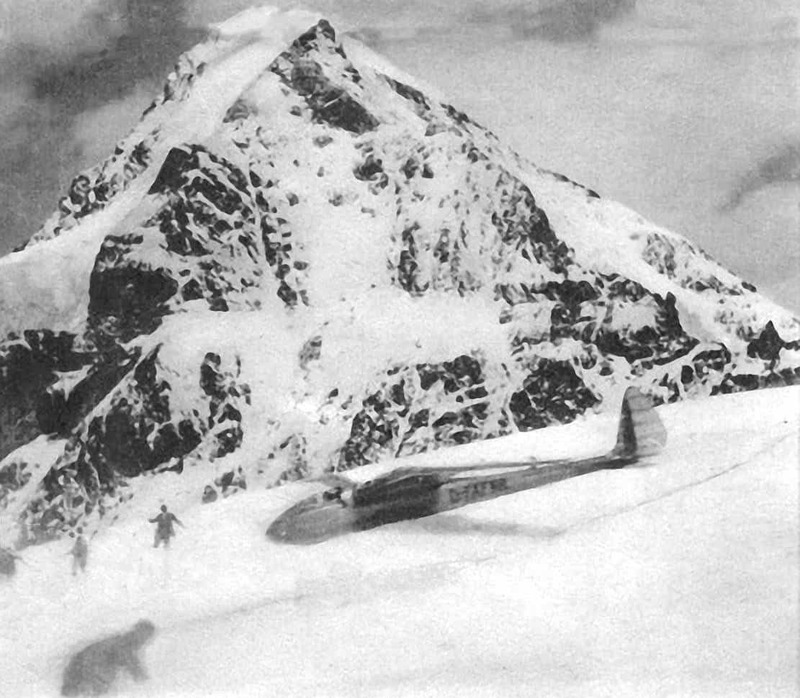 On his first flight after this, Groenhoff found had no rudder control, but was able to get safely down into the valley, where it was found that during the launch the wooden block at the rear end of the fuselage, where the hold-back hook for bungee launching cord was mounted, had broken off and taken the rudder fixing with it. This had taken with it the main rudder mounting and brought the rudder itself out of its bearings. Only four flights were made by the Fafnir from this lofty launching point. Two of them had been nearly disastrous. 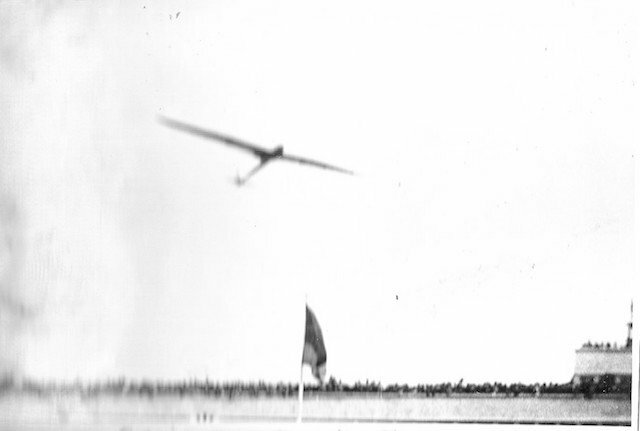 The fourth, when Groenhoff soared away to land at Bern aerodrome was successful. 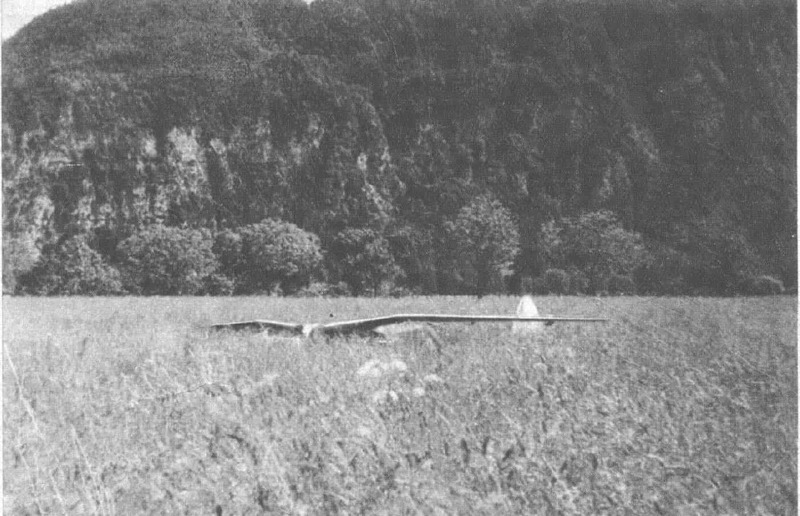 After 58 minutes Groenhoff successfully lands the glider in a field close to Interlaken. Groenhoff was to became only the third pilot in the world to gain the coveted Silver ‘C’ badge, after Kronfeld and Hirth. 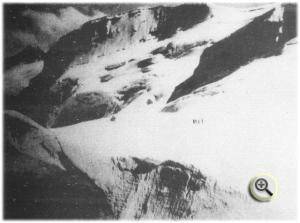 See this rare footage of the Jungfrau expedition, spoilt only by the wrong glider being launched !! 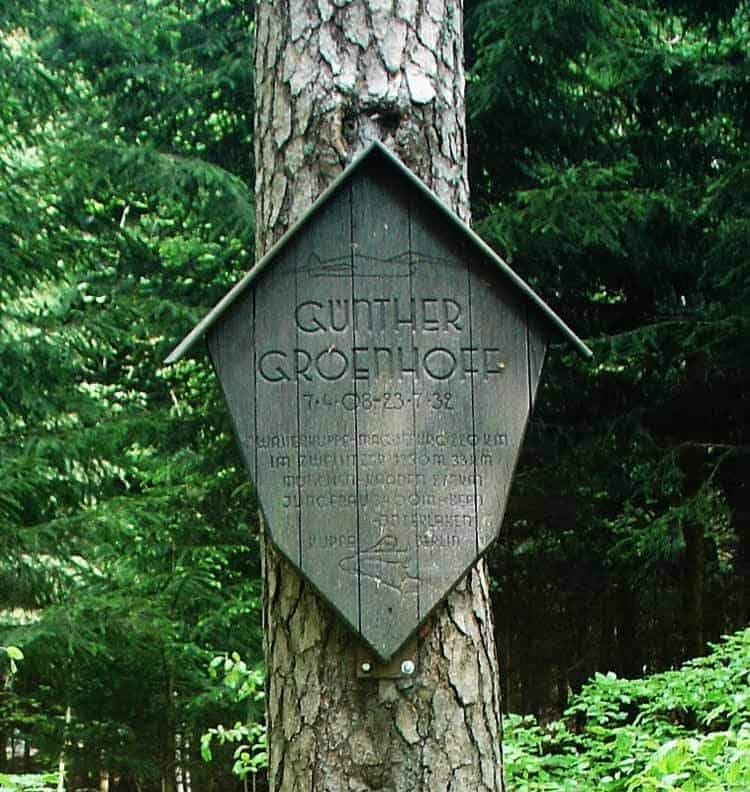 Groenhoff either jumped or was thrown out during the final spin round, and although the parachute opened, it was too late to save his life when his head struck a branch of a tree killing him instantly. It is generally believed that Groenhoff did not leave the machine voluntarily, and it is said that he was in the habit of flying without being strapped in, but at the same time it is difficult to account for the cockpit cover coming away unless he purposely released it to allow himself to be thrown clear. 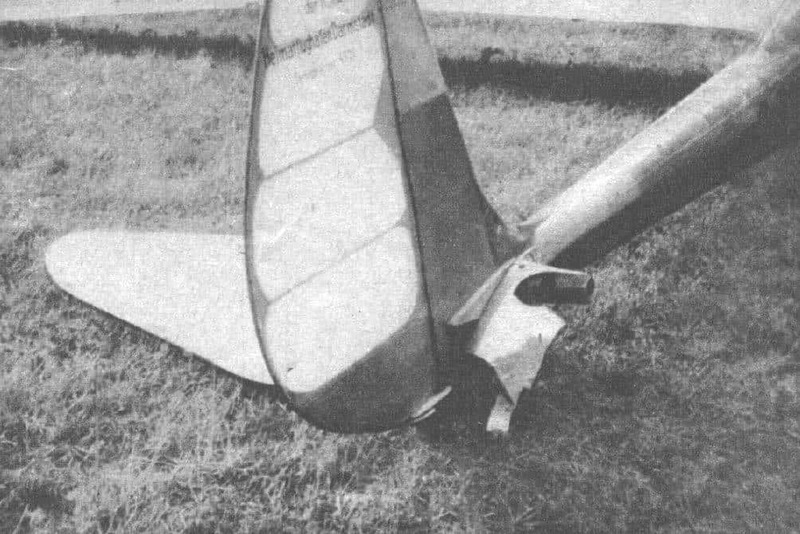 The condition of the sailplane after the accident made it appear very probable that the pilot would have escaped if he had been strapped in. Georgii and Lippisch, director and head respectively of the technical division of the RRG, decided to repair the remains of the Fafnir. 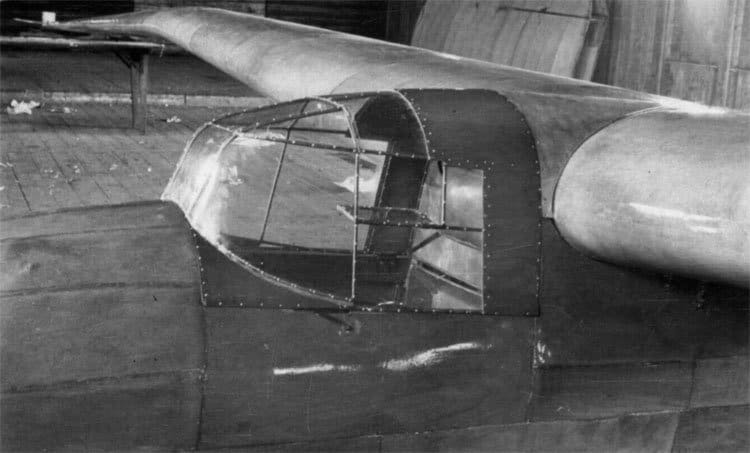 This time the cockpit was built large enough to accommodate pilots of average size and the old wooden canopy was replaced by a transparent one. 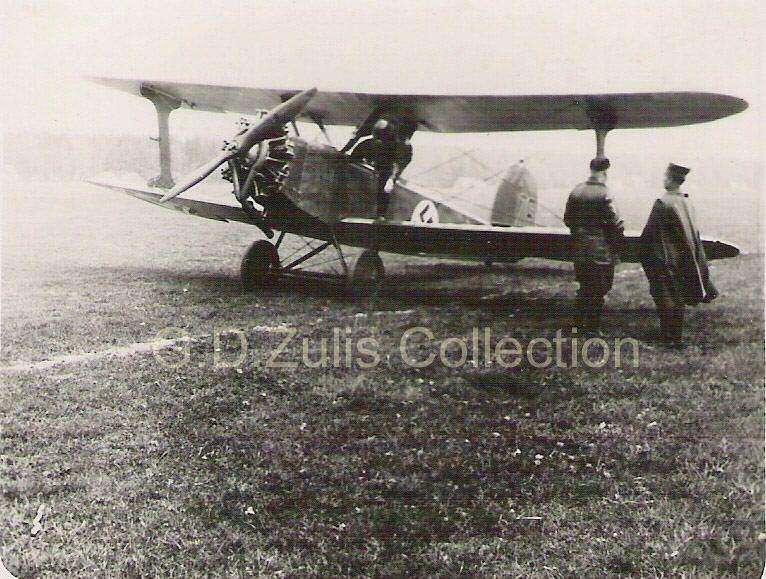 Peter Riedel flew the rebuilt Fafnir 228 km from Darmstadt into France in June 1933. Riedel, later in the same year, won the XIV Rhön contest and was awarded the Hindenburg Cup. The Fafnir as it appeared on its debut in South America sporting the new enclosed nose and piloted by Peter Reidel. The rebuilt Fafnir wing showing the rear sub spar and the extra cross bracing in the aileron Notice the wingtip modification on the Fafnir wing at the top of this picture. 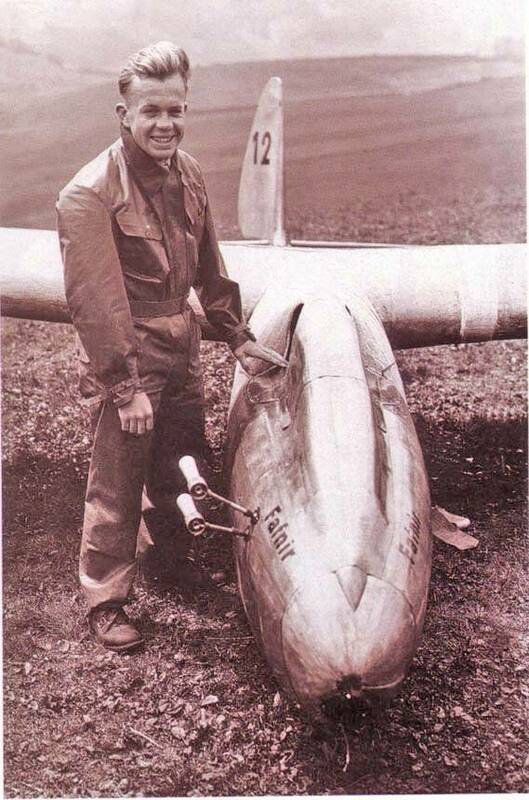 Hanna Reitsch (1912-1979), a pupil of Wolf Hirth and already on her way to become the famous German airwomen, flew the Fafnir in March 1934 with a 160 km flight from Darmstadt to Retlingen, a new course record for the women. The same year, Peter Riedel, with the Fafnir, accompanied Georgii’s, Hirth, Heini Dittmar and Hanna Reitsch on the expedition to Brazil and Argentina. 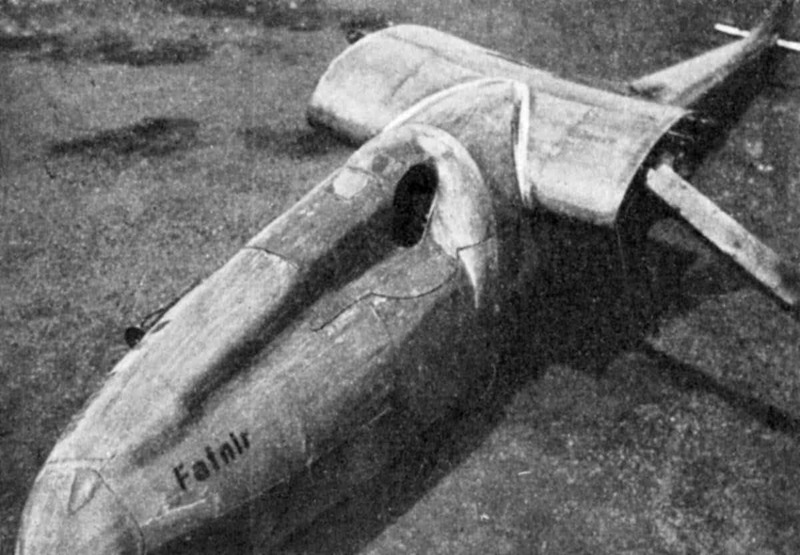 The Fafnir achieved good cross-country soaring flights, the first accomplished in Latin America and on one occasion Riedel soared for seven hours over Buenos Aires. On return to Germany, the Fafnir remained in use far some years at Darmstadt, where the DFS, successor to the RRG, established its headquarters. The Fafnir was retired and was finally destroyed during a bombing raid at the Deutsche Luftfahrtsammlung (German Aeronautical Collection) at Berlin in 1943 along with many other famous aircraft. Click the image below for an interesting pdf Brochure for the Museum. My thunderstorm flight to Kaaden had created interest all over the world. So I was invited with my “Fafnir” to an air show in Basel. This gave us the idea to combine it with a previously proposed Alpine gliding expedition. The initial preparations had already been done by Basel. The Jungfraujoch seemed to us to be the most appropriate place and good starting point for the expedition. The Directorate of Jungfrau region, which leads to the Joch readily promised every possible assistance. Four men took part in the expedition.. A technical manager, engineer Riede!, a scientific director, engineer Hardt, and the aircraft fitter William besides myself. With the “Fafnir” fastened to a rail car along with tools, tarpaulins and Start ropes we made our way to Basel. On Saturday night our engined support aircraft, the “Flamingo”, landed in Basel, at precisely the time the transport train rolled in with the “Fafnir” for airplane hangarage. The airfield is located in Basel on the Rhine. Directly opposite is a beautiful mountain. In towed flight Riedel tows me several times to 1000 meters and then I try to display the glider to the audience . I spent twenty minutes at thie nearby hill, then in a couple of elegant curves I flew the “Fafnir” before them and then landed to the amazement of spectators on the skid, just in front of their eyes. That evening we packed the “Fafnir” with everything, then set off in the direction of Lauterbrunnen. In Lauterbrunnen we must load onto the mountain railway. It was not without difficulties. The fuselage and wings had to be put on two separate cars to avoid being stuck on the bends in the tunnels. When I saw the peaks so close to me for the first time, they made a powerful impression. The high summits lay wonderfully clearly before us where little ragged clouds hung everywhere. The great white snow fields differentiated themselves sharply from the sky. One pointed for me: up there in the trough of the steep slope is the Jungfraujoch. By train it is always higher. The vegetation diminishes, only the highest alpine flowers stand on the meadows and then, after the Eiger glacier station, the rack railway disappears in the eleven kilometer long tunnel. After a one hour journey we arrive at the Jungfraujoch station.But how do we get from here? The tunnel of the road ends in the rock and has only one exit to the Hotel Jungfraujoch. After la lot of trying out and measuring we find that the parts can be transported via the hotel balcony. 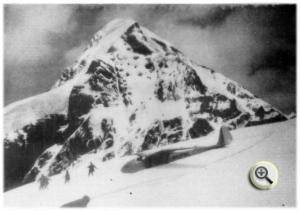 There, they are roped and carried up to the Jungfraujoch along precipitous slopes by skilful guides. A good head for heights is necessary. All our efforts were of great interest to the elegant visitors with whom one heard all languages of the world. Protected from the wind, in a snow pit, the “Fafnir” slowly took shape. The very next morning it was ready to go. The weather was excellent, only the wind was 13 to 19 M/sec. and violent turbulence was a bit too strong. Perhaps 100 meters away from the cliff, I made the “Fafnir” ready to go. 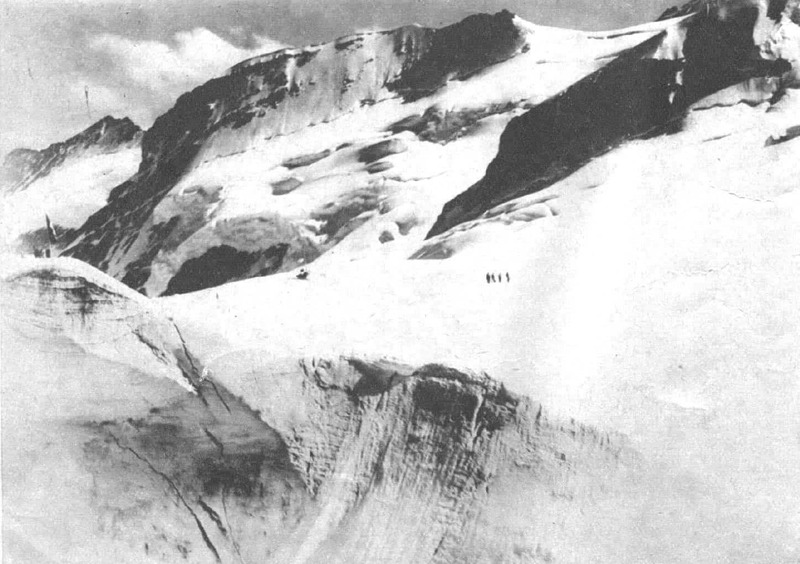 The supporters of the Jungfrau train were shown their positions that they should take at the start and explained. 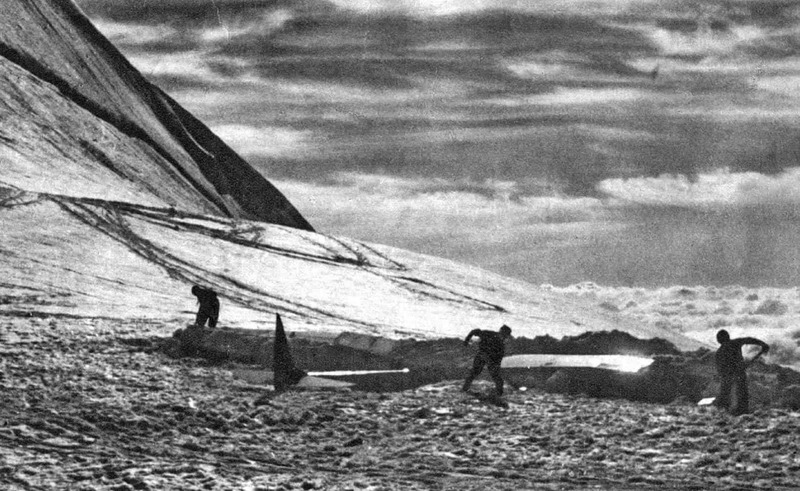 “Launching” was not easy for the people, because in the snow-covered glacier fissures one could easily get caught. Riedel took over the starting squad. Because of the cold it was so thickly packed. 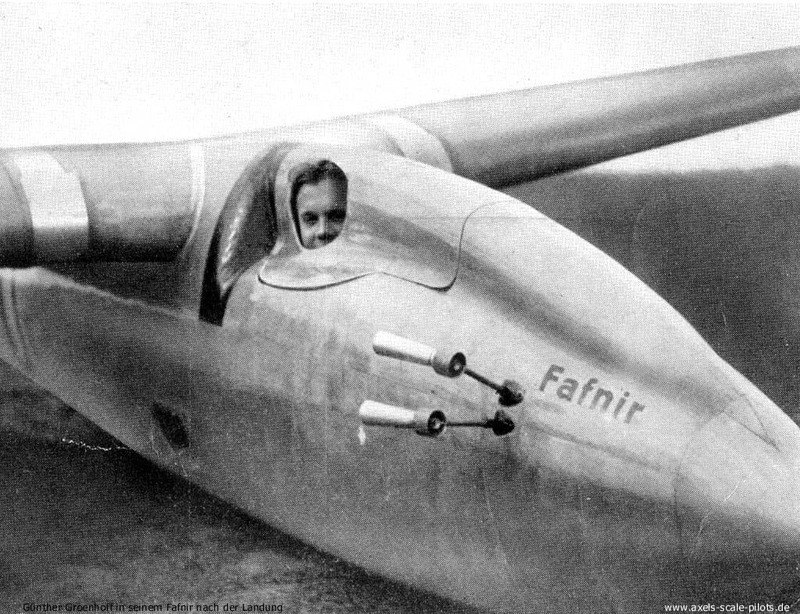 I could barely even fit into the narrow “Fafnir” fuselage. Idi give the signal “Ready”. At the command “Stretch” the Start leader begins moving and stretching the rubber cord. All wanted to run and give their utmost power, but suddenly the frozen “Falnir” snatches off from the snow. For the retaining crew the jerk is not expected. The “Fafnir pulls too soon out of the hands and toboggans with great speed, but not fast enough to be able to fly, to the edge of the cliff. The starting team throw themselves flat on the floor and I sweep away close by them over their heads. There is no more turning back. The fuselage nose hits a crusted snowdrift that breaks the plywood and at the same moment, tipping the machine over the slope edge and falls into the depths. Despite a high speed, the elevator control does not respond. It can be difficult to persuade oneself it must be broken or damaged. After about 100 meters dive the machine recovers by itself. I try once more to fly, but again it falls on its’ nose, falling another 80 meters and starts again. With the rudder I manage to get the “Fafnir” away from the nearby rocks. I unable to explain what has happened. With my small windows I could not put out my head very far to allow me to see the back. I surrender myself to my fate, fly in the direction of Interlaken, and make up my mind to jump out at least 500 meters in height with a parachute. I lose my height like on a staircase. In all possible flight attitudes I try to get the “Fafnir” a little bit more controllable, but totally without success. The altimeter gets ever closer to 500 . I have a look at the wind and calculate the place where I must jump out to land in a small, clear place. I hold the canopy and take in hand the Leika ready to take pictures of the last flight of the “Fafnir”. 500 is reached, but as I went to open the canopy, I could not allow myself to do it. To simply leave the proven “Fafnir” and surrender it, is difficult for me. I think of the Kaadener flight and of the coming Rhön competition with which I urgently needed it. At 300 meters I can still jump out. Again, I try everything. Once, when the “Fafnir” was upside down, I gave full Right on the controls. It stood on its head and began to whistle with the increasing speed. Slowly I gave elevator control, until I realise that wants to do its own thing. With well over 100 kilometers airspeed, I am in a steep glide with the ground rapidly approaching. Now I must decide, either it stays in control or there will be failure. The ground comes up, I skip a few trees, and when I want the machine to fly horizontally above the ground she bends her head back by itself, crashes to the ground and turns by 90 degrees and slides sideways for maybe 20 meters through the meter tall grass. Smooth landing! It took me 58 minutes from Jungfraujoch to the landing, enough time to get grey hair. Down here it is disgustingly hot, especially in my thick clothing. I get out and look and to my surprise, half the tailplane is missing . I take off my flight clothes and lie down for a moment in the cool grass to rest for a while. From a spectator I borrow a bicycle and then rides fast as I can to the nearest phone. I can tell the joy from my people when they know that I am well. I immediately spoke with the Wasserkuppe and order a new elevator. In the afternoon my crew arrived with a trolley and we brought the bird back on the path to the Jungfraujoch. In the evening we sit together and celebrate my birthday. It must have been at least as bad for the viewers watching this false start as it was for me. 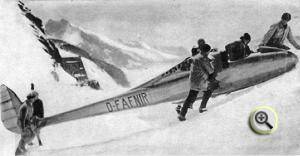 I was told they saw a a hole the shape of the Fafnir fuselage in the high snowdrift created as the glider slid through. Luckily it was only half the elevator which fell with the machine over the slope edge away into the depths. The helpers had stood rigid, waiting for the noise of the impact, but like a miracle I appeared, even if at sometimes in strange flight positions, in their field of vision. After two days the replacement tailplane arrived on the Jungfraujoch and the “Fafnir” was ready to go again. lt was an interesting flight, sailing back and forth on the steep slope of the Jungfraujoch. A wonderful picture. Below me was the great Guggigletscher and at the foot of the Eiger glacier station, perched on a projecting rocky cliff above, the lonely Guggihütte. At 2000 meters altitude, the sea of clouds begins to bring bad weather. In the evening, the “Fafnir” was dug completely into the snow so that a suddenly emerging storm would do no harm. In the morning we dig it back out of its’ cave and leave it to dry in the sun. After a few days the weather is again suitable for a new launch. We start to the north as in the first two flights. “Stretch .. .. . Run ” —– but just as the command “Go” was to come there is a crash. The two pedals of the rudder, on which my feet work move forwards and the “Fafnir” leaps into the air. With a defect, I want to throw the machine into the snow, but I realise the elevator control still works. The rudder is out of service. It is difficult to fly, so to speak, but much easier than with unusable elevators. I sometimes got into critical situations, but after an hour I land back on my airfield in Interlaken. l jump angrily from the machine because of this new incident and see that the rudder is torn from its hinges and was just hanging on the control cables looking like a pusher propeller behind the machine. 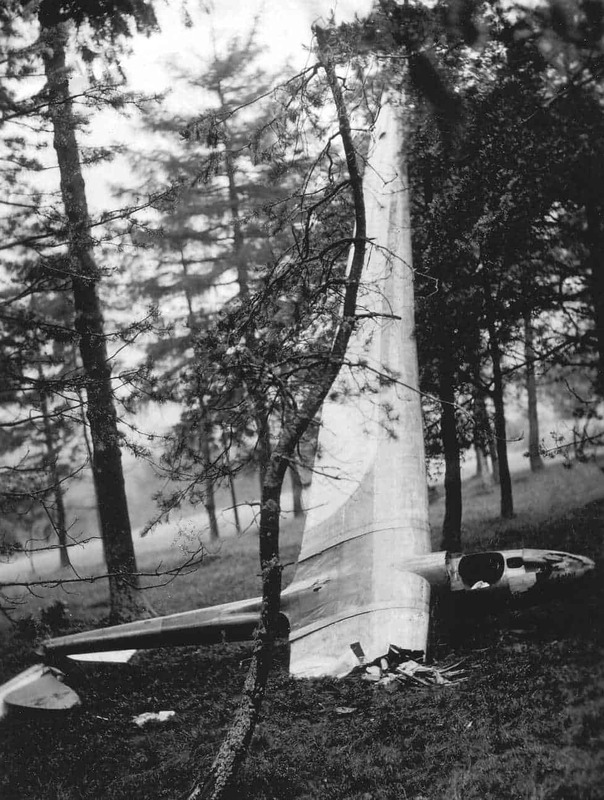 As my companions later told me, a big block of wood tore out of the fuselage to which the restraining rope was fastened. Unfortunately the block also held the rudder hinge and that was pulled off as well. Dissappointed with our bad luck, we discussed what we should do now. We found that this failure could just as well have happened on the Wasserkuppe. During that night and the next day the damage was repaired and the “Fafnir” was made ready for a new launch. Since our financial resources had become scarce, we accepted an invitation to do an ait display in Bern to help pay for a few more days.I had to have some luck once sometime. 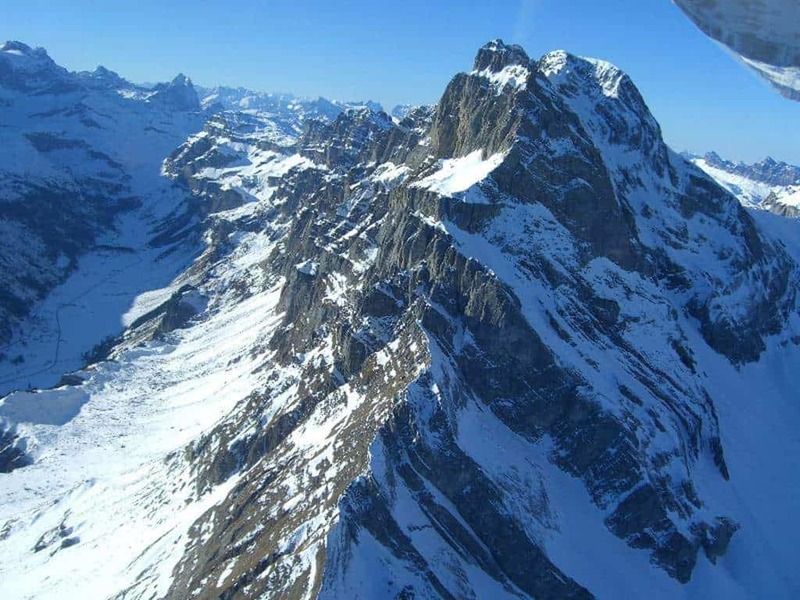 I promised, on Saturday afternoon, to fly the “Fafnir” from the Jungfraujoch to land at Bern. On Saturday morning there was a southerly wind and thick cloud. When it was time to start, I went to look again at the weather in the Joch. The cloud cover had dissipated and between the patches of fog I looked through to the clear blue sky. ln the Jungfrau Hotel I quickly got everything ready to prepare the “Fafnir” for the slope. All helpers have already become professionals. The launch works as well as on the Wasserkuppe. There is southerly wind and I fly through a few wisps of cloud and come out in a strong descent falling four to six meters per second. The downdraft zone is very narrow, but then in calm air I soon go further over the beautiful mountains. At high altitudes, I skim Interlaken, use the updraft on the slopes that rise from Lake Thun and come closer to the lowlands.Behind Thun I hang onto a cloud and am able to gain some height. As I sail along the lower slopes I see Bern and even further ahead, the airfield. 300 meters, I’m still high as I fly through the cheers. Everyone is running out, greeting me by waving and the start siren sounds for my reception. We had gained a lot of experience, but the work was far from complete. We need several more attempts of this kind to clarify all the issues we have raised. On 15 April, Peter Riedel towed the three ‘ Griesheimer’ pilots Otto Fuchs, Kurt Starck and Günther Groenhoff with the Flamingo to a 1000m releasing height. Fuchs and Starck landed south of Heidelberg, Groenhoff carried on to Buehl, Baden-Baden. That was 138 km and a new German distance record. Here is the report of Günther Groenhoff. My sailplane flight from Darmstadt to Buehl. April weather! Sunshine, followed with a light showers and a fresh wind from northwest: the suitable weather, for which I had waited. Already, for weeks, on Griesheim Airfield attempts to tow gliders by a powered aircraft into the had been made with the ‘Darmstadt’ under the supervision of Professor Georgii. Now the first opportunity had come to put the lessons learned so far into practice. Successively, three machines were towed up. I am flying the “Fafnir” in third place. At a height of 1000m I released from the tow-rope of the powered plane and have the luck to find a cloud front. Slowly I am lifted ever higher and even disappear for some time in the cloud. When I can see downward again, I was already over Odenwald. But now the descending air forces me very strongly downward so that I must fly fast into the lift of the slope at Melibokus. After soaring there for some time, I suddenly find favourable lift, which pushes me in few seconds from 900 to 1600m. I come out alongside a cloud and can fly away now in somewhat calmer air, directly towards Heidelberg. Like a holiday traveller I set off accompanied by the quiet whistling of the machine, I fly in the marvelous sunshine over the pretty cities of the mountain passes. Laterally, in the west, the bright glisten of the Rhine accompanies me. From down below came noises of car horns, bustling humans and hammering in a quarry. It is so beautiful, so quiet to glide! From time to time I lost height, but recovered again under a cloud. Time passes. It is now four o’clock. I want to cover a good distance before the evening calm. Thus: no time to lose! At the turning point of Heidelberg comes the difficult part of my flight. Between Heidelberg and Bruchsal there is no slope in whose lift I could regain lost height. It is a distance of thirty kilometers. At the turning point strong turbulence began. The lift at the slope did not give any height gain. With 1000 m I flew on and lost height slowly more and more. I saw another sailplane, which had started before me, in a meadow below. The comrade had thus failed today, exactly the same as in previous flights and had been forced into this difficult landing area. I begin to fight for each meter of height. In completely weak lift I win 200m, but this is sufficient in order to reach directly the first slope with Bruchsal. I am pleased, however, to have overcome all the difficulties and enjoy in this happiness the view of the pretty Bruchsal with its wonderful castle. At low altitude I now have to fly along the slopes. I see many pretty small cities to the west of Karlsruhe whose names are unknown to me and fly over at approximately 50m height. The inhabitants shout and make signs to me. I answer only: “Hello, hello!” I have enough to do with my flying. I am now at the Black Forest. The mountains become ever higher, and soaring should become easier now, but the evening comes and the wind turns and diminishes so that it becomes ever more difficult to get over the forests and villages. I still see close on my left Murgtal with its castle ruin, then straining hard I can see Baden-Baden, however, I have to decide to the land in a meadow at Buehl. The joy of the arriving at Buehl is great. Someone addresses me with my name. An acquaintance from Wasserkuppe. How far had I flown I noticed by the dialect, which sounded strange and nevertheless so friendly to me. In three hours I had covered a distance of approximately 138km on a direct track and had brought with it the German distance record for me. 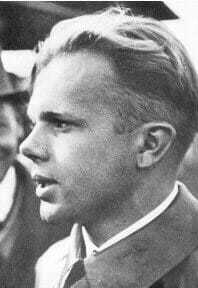 One of the most outstanding achievements of the year 1931 was the thunderstorm flight of Günther Groenhoff from Munich to Kaaden. 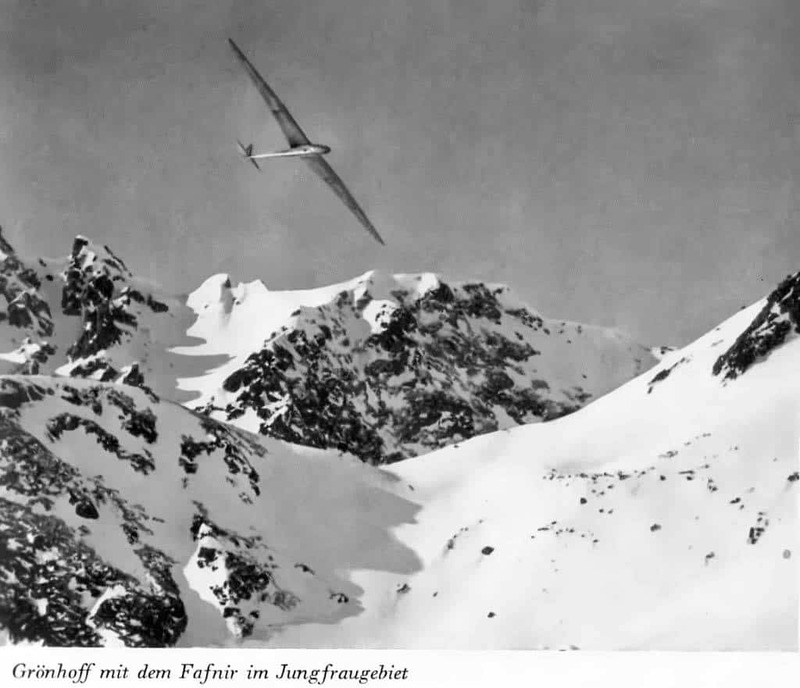 The flight was considered by the press to have greatly contributed to the fact that, in Germany in the thirties, sailplane flying had become a sport for the people. Since the FAI did not yet recognise aero-towing, the 272 km flight could not be recognised as world record. 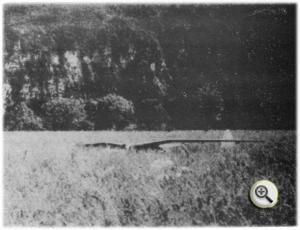 With the flight to Buehl the usefulness of the aero-towing of gliders had been proved. On behalf of the Rhone Rossiten society I would demonstrate this new method and the flight should also prove useful for the research into areas of meteorology for the Munich Meteorological Conference. On 4 May 1931 the weather briefing in Munich began in the morning. With the dominant northwest wind the plan emerged to try an alpine sail flight. I had arrived at Munich the day before with the “Fafnir” and the tug. On the Oberwiesenfeld airfield everything is clearly ready for the start and I want to begin to collect good information for the Meteorologists, but typically the wind turns and throws out our plans, but there is so many beautiful cumulus clouds in the sky. Amongst them one had to be able to hold a glider steady. Peter Riedel in the sluggish engine machine gives full power and soon pulls me with the long towrope over the airfield at 120 meters. The “Fafnir” makes an efficient bounce on the molehills and then floats steadily behind the tug. Humans and houses down below become ever smaller. We have enough height to fly us over Munich. I observe carefully each movement of the “Fafnir”, in order to get the correct moment for releasing the tow-rope. There is an slight jerk, the tow-rope falls downward. Riedel immediately flies back to the airfield and leaves me to my fate. The first hail falls with uncanny uniformity on the structure Thick, down torn clouds hang down before me. The thunder follows, each time with lightning and terrible rumbles as if everything would have become an empty space. I strain to hear whether my instruments are still functioning, because of the way that the flight had started. What will now happen will be of extraordinary importance for the scientific evaluation of the flight. Again I consider whether I dare to continue this flight into these enormous natural forces outside, but the options had already been forged as I had sufficient time to consider what I wanted to do in such a situation. Thoughts come and go. Finally the time approaches. In the middle under the heavy dark clouds the “Fafnir” begins to rise evenly at 5 meters per second. The view becomes ever worse downwards. Behind, the earth slowly disappears. Laterally, lightning flashes in the grey, but of the thunder nothing is to be heard. The hail strikes noisily on the “Fafnir”. My instruments still shows: ‘Climb’. The Air becomes jerkier. It becomes more difficult to hold the “Fafnir” in a normal position. The Air Speed indicator decreases then returns suddenly. I descend fast, in order to keep flying speed, but the pointer jumps back and forth, and the “Fafnir” whistles loudly with the excessive airspeed. The speedometer is clogged by hail and precipitation. Similarly the artificial horizon is affected. Only with the compass and my senses am I able to continue the flight. The gusts become stronger. The hail falls in cherry sizes and hits with such force against the covering that slowly large tears develop. The elevator is of little use. A strong gust lifts me into the canopy cover above the top of my seat. The machine reaches such high speeds that I watch the wing in order to see how they will break. But they only bend into degrees I would never have considered possible. Occasionally lightning flashes, apparently in close proximity. The thunder cracks, as if the lightning would be struck into the machine, then rumbles slowly afterwards from above. I try again and again to fly N.E. using the compass in order to come ahead of the thunderstorm. Finally, I succeed. The hail patters more quietly and then, in time, I see the earth very hazily beneath me. I immediately push the Fafnir into a steep spiral dive. It is, as if I could breathe deeply again for the first time in a long while. In the brightness I view my wings. They have long tears and many small holes. Water and hail lie as a thick layer on the wing, but the faithful bird still flies so beautifully that I do not need to feel concern. The heavy thunderstorm was perhaps a hundred meters behind me. The whole grey of the storm is continually in motion. Large eddies form. An area for airplanes that would be difficult to overcome. Before me a marvelously illuminated landscape lies to the N.E and in the South, ahead of the thunderstorm, can clearly be seen the long Alpine chain lit by from the sun. First I go on patrol, in order to see, what size the “front” is and where the best rising air is to be found. That can be done fast. The thunderstorm is judged to be small, perhaps 15 kilometers in expanse. There are fronts of 1000 kilometers width. Ahead of the thunderstorm the rising air is even and strong so that I climb fast to approximately 2200 meters. From time to time clouds form around me. But in blind flight I fly again and again with course N.E. to head out of the front. I fly for hours following the thunderstorm. At one time I discover a butterfly at these unbelievable heights. I wonder if, like me, this small chap freezes; but already I am past it. My seat becomes damp. The hail, which collected on the surfaces, is melting. The water gathers in the fuselage and begins to slowly rise. For a long time I bore into the floor until I have a hole through the plywood by which the water can leave. It is interesting to observe what takes place down on the ground if a thunderstorm arrives. If a large smoke trail emerges somewhere, I observe the exact direction that the smoke takes. I can see exactly how the wind slowly turns ahead of the thunderstorm and how the thunderstorm lifts the smoke upwards at it’s front. On the edge of the thunderstorm, long spirals are pulled upwards. Down on the roads the vehicles dash. They want to get home before the cold rain shower. Sometimes I can observe, how the rain approaches them and then steadily pours. In the trees the storm before the thunderstorm begins. Lightning flashes continuously to earth and sometimes into my locality. Has it caused a fire somewhere? Nothing is to be seen. After a long flight I recognise before me the course of the Danube and then beneath me the Valhalla. From Regensburg I cannot see much any longer, because clouds form everywhere around me and completely surround me. In blind flight I try to fly again a N.E. course to the front, but it seems to last for an eternity. Again the hail begins. It is unexplainable. I assumed that the compass had failed and I had again flown back into the thunderstorm. The “Fafnir” suddenly falls steeply downwards. I come out from the clouds and approach the ground quickly. I recognise that I had come into a developing thunderstorm in blind flight and am now being pressed down in the descending air on the back of the storm. I circled back to where I had come from, but it seemed too late. At, perhaps, 150 meters above ground the descending air finally stopped. I still had sufficient height in order to look for a landing place. Before me I discover a small slope. I must try and hold there for a few minutes. With great caution I circle for approximately ten minutes back and forth and maintain my height. The thunderstorm catches up me with me again, the updraft strengthens and then the thunderstorm pulls me back to my previous height of 2000 meters. The thunderstorm passes now over the Boehmerwald, strengthens again and unloads itself with force over the mountains. Slowly the evening approaches. The sun appears on the clear horizon and floods everything with a red glow, a powerful picture after those many exciting events. In order to land before darkness, I fly away from the front and the good lift. Slowly I lose my height in gliding flight, but the darkness comes much faster than I had expected. When I am still scarcely 1000 meters high, the first lights below are already turned on. The view becomes ever worse. I see after some time, how in a larger city before me the road lighting in a quarter is switched on one by one. I fly on in the direction of the city where I will get assistance. I can no longer recognise the area below me. Suddenly, I see the lights of a house close beneath me. It is clear I must land immediately. I shout as loud as I can to catch attention, however, suddenly I am again over a deep and steep river channel. Between these steep slopes, without any embankment, flows the Eger. I wanted to circle back, but I cannot reach the edge of the slope as I had no height left. The far side of the river lay lower and I tried to fly over there. Now I notice how bad the “Fafnir” has become with the hail damage. It descends fast and becomes very exciting, but with a few meters height I arrive at the other side and land smoothly in a young oat field, just before a high voltage line. Since I hear no one, I call out loudly: Hurrah! I lift my rigid members from out of the fuselage, but my limbs no longer want to move. Soon I find myself standing beside my dear “Fafnir”, the faithful bird. She seems badly mangled. The instruments still tick to their even work. After I had called aloud for one quarter of an hour my throat was hoarse and there was still no curious appearance from the public, I decide, to follow the high voltage line along to the next settlement over fields, meadows and fields. From time to time there is still more lightning in the distance. On the opposite side of the Eger, along which I am walking, there are so many houses, but nowhere is there a boat to be found with which I could cross over there. After three-quarters of an hour I see a Pedlar, an old man with a large box on his back. I call him. He gets such a fright that he immediately drops his box and tries to disappear behind a few shrubs, but I am much faster. I calm him down with some words and find that he is going to the next locality after Kaaden. I tell him that I had landed with a glider, an airplane without engine, in the proximity, so he might be a little interested. Along the way, he described the interesting life he had as an organ player. Thus we drew into Kaaden as good acquaintances and said our cordial good-byes. The authorities in Kaaden had more interests in me. They seized the “Fafnir” and took it and me into military custody. I had to disassemble the “Fafnir” in the night onto three horse carts, and with the airplane bedded on straw, we drew into the barracks at five o’clock in the morning. At seven o’clock the telegraph office finally opened. I could now telephone the message of my safe arrival. This was probably the most beautiful moment of my flight, because I knew that everyone had waited for my message and with everything else, they were pleased. In eight and a half hours flight I had flown 272 kilometers and had brought rich information for the meteorological research at home. 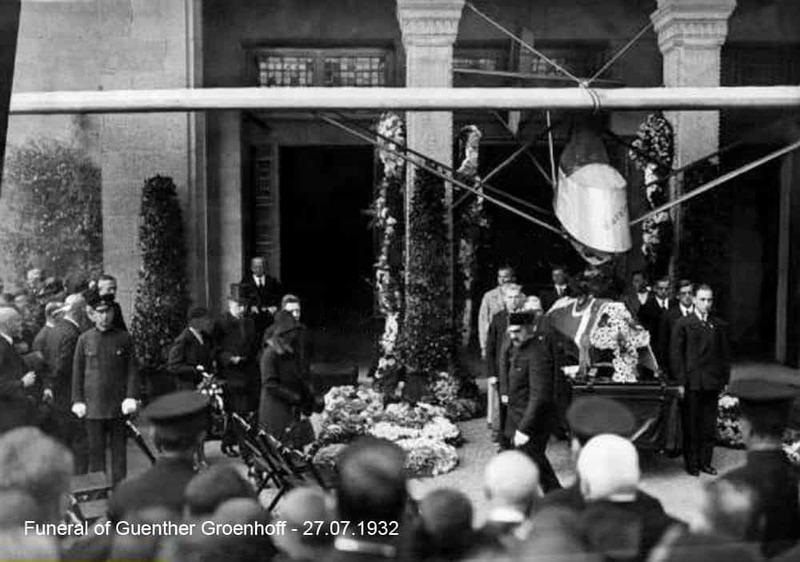 When the news came through that Herr Groenhoff was expected back at the Wasserkuppe after his record flight, arrangements were made immediately to offer him a right, royal welcome. Small trees were felled, wood collected, and three cans of petrol obtained. Out at the cross roads a huge beacon was built with the petrol amply scattered around. Inside the Deutscher Flieger Hotel tables were set in one long line, and all was bustle. At 8 p.m. a telephone message informed us that the hero had left Gersfeld, which is the village at the foot of the high ground. In ten minutes the beacon was well alight, and the blaze on the top of the Wasserkuppe could be seen for miles around. The ambulance man had brought one of his stretchers on which was placed a chair. 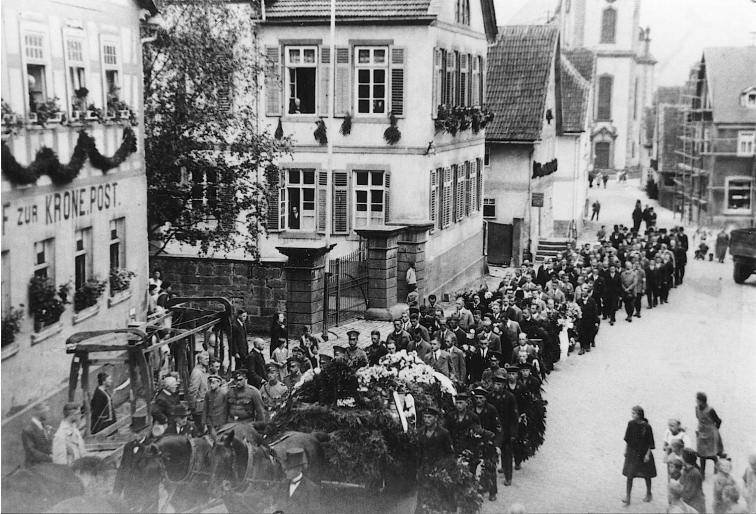 The car arrived and “the Boy” (Herr Groenhoff) was pulled out by his hair, placed in the chair, carried round the Kuppe and then into the Hotel. Still in his chair. which was placed on a table, all students and everyone present passed in front of him and congratulated him. We were then seated, with Groenhoff at the head of the table, and beer provided for everyone. He had a look round and saw that the workmen who had made his machine, were not present. asked why, and was told that they were still working on his next machine. They were promptly sent for and he thanked them very much for putting such good work into the machine, thus enabling him to attain the record. Herr Hirth then proposed that Groenhoff should relate to all his experiences. Thus on the morning of March 1931 “Darmstadt ll” stood with Kurt Starck at the east end of the Griesheimer Platze. They were by connected by a 120m to 150m long tow cable – the exact length escapes me – connected to the tow point of the NLG U 1a “Flamingo” D-1540. A red rag made the thin steel cable more visible. Slowly I gave full power. In the rear view mirror I saw, how the cable became taut and started the “Darmstadt” in motion. At the beginning, forward acceleration was retarded by the landing skid on the sandy soil. When we took off finally, I must probably have had too much speed. Anyhow there was jerk forward. Starck had released. Abort, Abort!” – professor Georgii had excitedly called, when the “Darmstadt” started longitudinal oscillations – pulled the release -, separated and landed from the tow rope. Otto Fuchs however came over to me, as I had remained seated in the Flamingo. “Mr. Riedel, can you go a little more slowly?”, he asked calmly and friendly. He understood that we both, Starck and I, had something like stage fright. ow it came to the second start. There were no problems at all. We made a long tow flight up to a height of 1500m. Calmly the “Darmstadt” could be seen hanging in the rear view mirror, behind the Flamingo. Only after Starck had finally separated did the joy come over our achievement. The spell was broken. 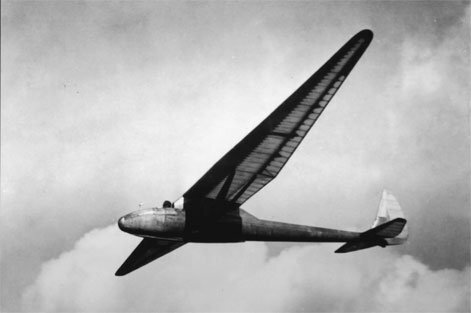 Aerotowing of gliders was no longer a problem and soon found it emulated. Professor Georgii had Groenhoff and the “Fafnir” come immediately from the Wasserkuppe to Griesheim. Thus I towed a few days later Groenhoff, Starck and Fuchs of the Griesheimer, in that order. All three glider flights lasted several hours. How deeply the rooted prejudice was against Aerotowing of gliders was shown by the following: Kurt Starck reported that, a few weeks later Wolf Hirth who had strong influence in Griesheim appeared and visited the Akaflieg Darmstadt, right after his return from the USA. There he spoke about the dangers of Aerotowing gliders and only after long discussions on the safety of Aerotow would he later be convinced. 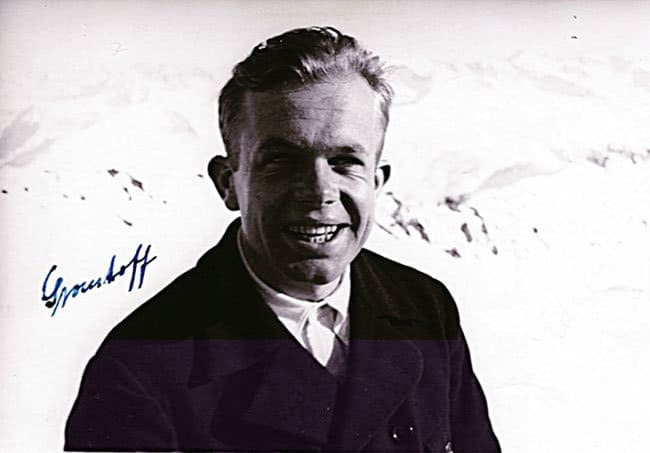 Arguably, the greatest and most popular of the German glider pilots was Günther Groenhoff who set many world soaring records in distance, duration and altitude. 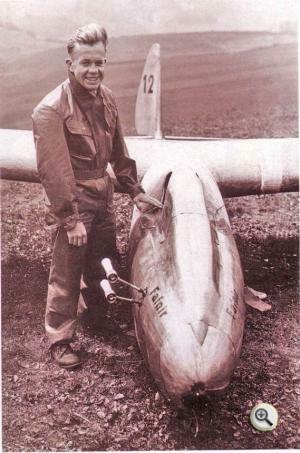 Many of his record setting flights originated at Wasserkuppe where he had been the official test pilkot at the Gliding School of the Rhon Rossitten Gesellschaft (RRG). 1908 Born at 7th April at Stade near Hamburg. 1929 On the 17th July he achieved his C-Licence at the Wasserkuppe. Shortly after the Licence exam he crashed at the “Westhang”, 80m free fall to the ground, without bodily harm near to the place he died in 1932. 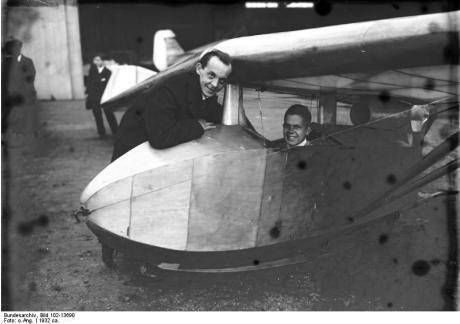 3 days after licence (20.07.1929) he made a record flight of 36 km from Wasserkuppe – Nordheim with a borrowed double seat “Rhönadler” along with a young farmers son. Thiswas was never broken untill after his death. 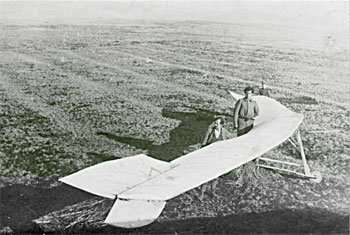 1930 In the summer Günther Groenhoff performed test flights of the “Köhlmaschine”, also known as “Delta I”, during the Rhön Soaring Contest. 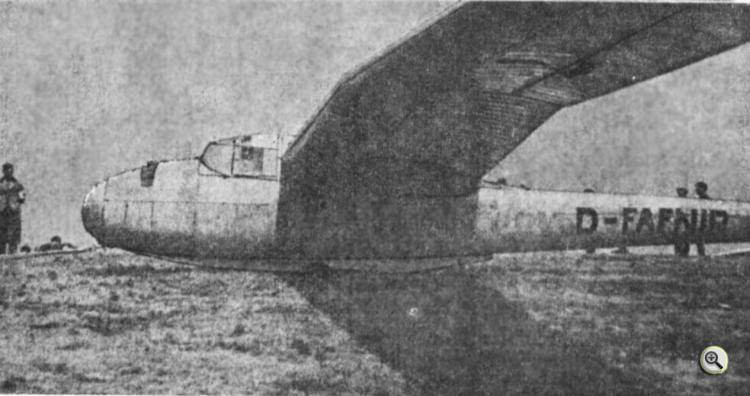 The Deltas maiden flight was as a Glider. He also gave many performances (flights and lessons) for the “Sturmvogel” society. He became the owner of the 3rd ever Silver C on the 15th April. 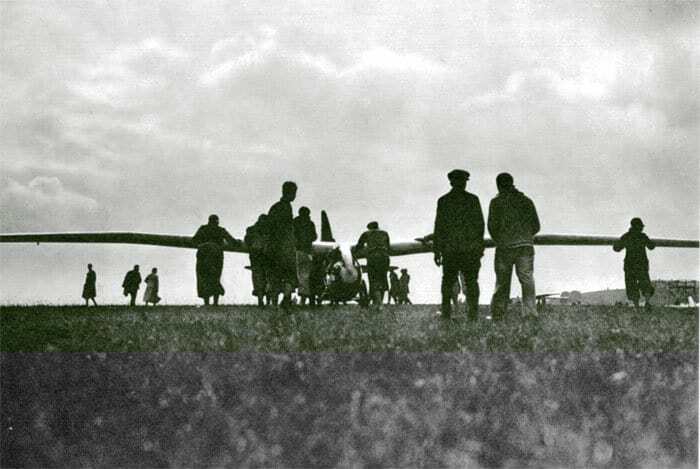 At the Rhön Competition 1931 his first official long distance record was achieved when he flew from Wasserkuppe to Magdeburg, a distance of 140 miles. He also had best performance for height gain with a hieght of 2050m. Flying from Berlin’s Templehof airport in a tailless plane he helped design, he attained a record setting speed of 90 mph. His altitude mark of 7,000 feet was set during a flight from Munich to Czechoslovakia. Not all flights were successful. During a 1931 flight from Jungfrau-Jock Mountain, high in the Swiss Alps, he lost half of his plane’s rudder, but skillfully flew it to a safe landing on the valley floor 6,000 feet below. 1932 In 1932 he become the 2nd “Hindenburgpokal für Segelflug” for the year 1931. On the 21st March he had a very bad car crash near the Wasserkuppe when his car went off the road on a bend and hit a tree. His friend in the car, Beate Riedel, died in the crash. She was engaged to the Mercedes-designer Béla Barényi and was herself a popular glider pilot and sister to Peter Riedel. Because of the incident, Groenhoff became a bad depressive and often a drunked. Shortly before his death he wanted to emigrate with his brother to the USA. His brother later did that and after the war became a well-knowned Gliding photographer in the States. On July 23, at the Wasserkuppe, Groenhoff once again soared into the strong, turbulent winds of a thunderstorm. However, his good fortune had run out. The rudder of his beloved Fafnir snapped and he crashed on the west slope, dying instantly. 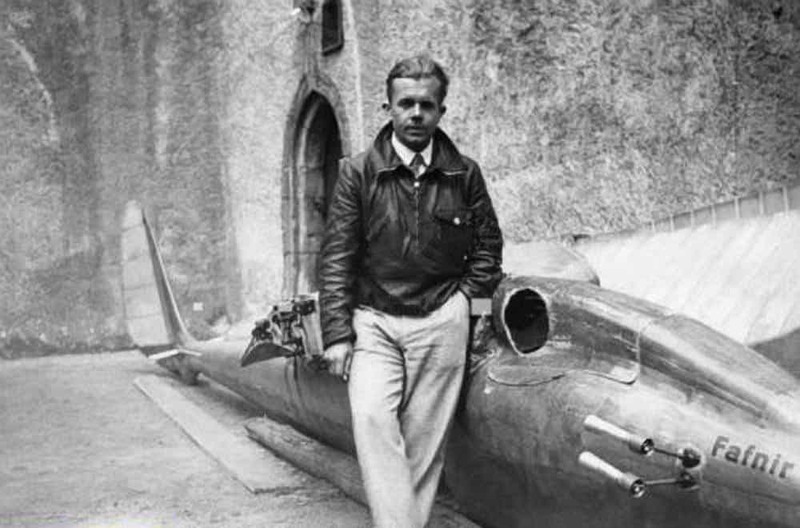 Günther Groenhoff was a highly respected glider pilot of his time and was the chief test pilot for the R.R.G at the Wasserkuppe. Due to a fatal accident in the Fafnir, his life was cut short at the young age of 23. 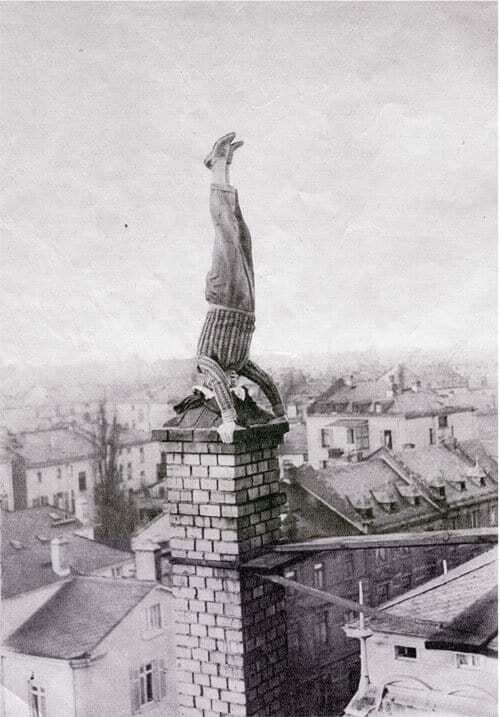 “In the absence of a church steeple I am the chimney pot of a high apartment building” Groenhoff acts the fool. From his own book.